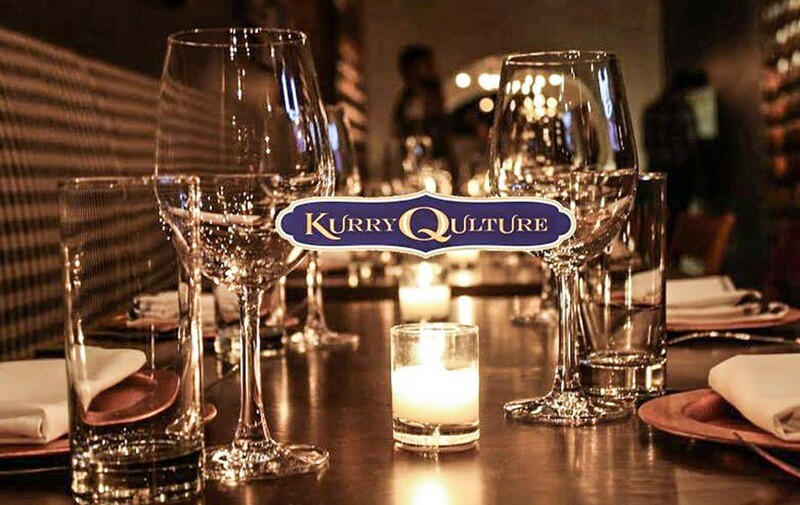 Kurry Qulture is a royal affair located right in the heart of Astoria, New York. Designed by the critically acclaimed Chef Hemant Mathur, the KQ seasonal menu masterfully blends fresh Indian and local produce delivered in a casual, trendy ambiance. 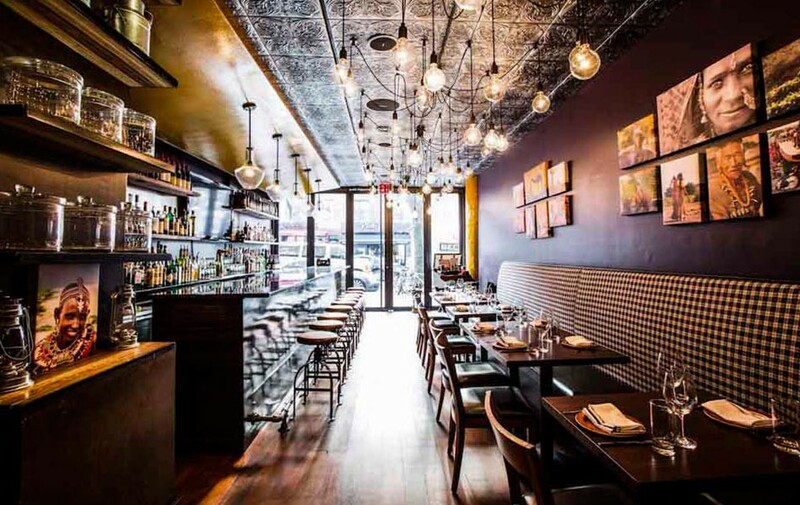 Astoria is home to restaurant industry veteran Sonny Solomon's newest creative venture, Kurry Qulture. Personable and charming, Sonny has more than ten years of experience in the hospitality business. 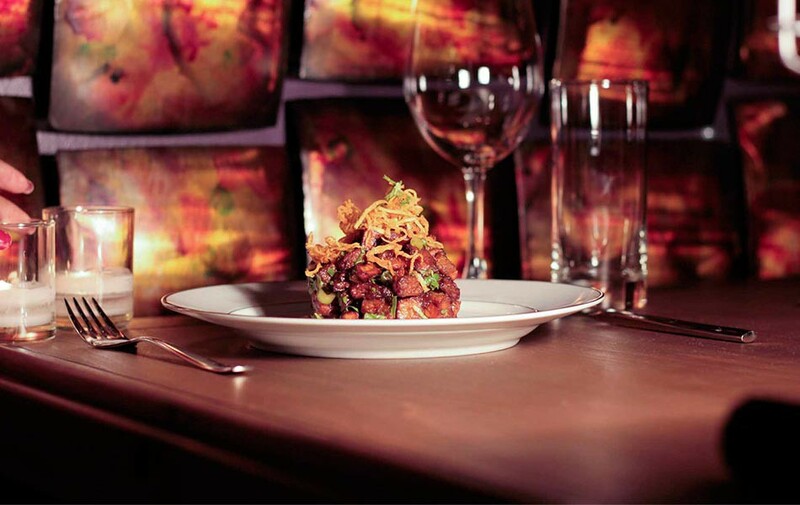 Sonny has served as general manager at several trendy Indian restaurants including Tulsi and Michelin-starred restaurant Devi. That is an impressive resume. Sonny's partner at Kurry Qulture just happens to be the love of his life, Vanessa. The Solomons, together with their two children, are long-time Astoria residents. It was this married couple's dream to, one day, open a restaurant in their neighborhood. When the property that formerly housed the Bourbon and Vine bar became available, the enterprising couple jumped at the chance. Kurry Qulture became reality. There are quite a few Indian restaurants in Astoria and almost all of them have something good going for them. What, then, makes Kurry Qulture different? A great many things, as it turns out. The ambiance is wonderful. It's truly one of a kind. Banquette seating provides comfort and a very chic, stylish look. An interesting array of murals and paintings decorate the walls. Some of these paintings depict scenes from the Indian countryside. A vintage bar turns out delicious signature cocktails. Without any doubt, the crown jewel of the restaurant is the Zen-like garden. The greenery and flowers have transformed a previously non-descript piece of real estate on 30th Avenue into a gorgeous, tranquil oasis. You really feel as though you are dining in a cozy inn somewhere in the Mountains of India. Now that's a short cut, from your apartment to India. And you will soak up the authentic atmosphere, even more, when you taste the food here. Kurry Qulture specializes in Indian comfort food. You will enjoy the same types of dishes that Sonny grew up eating, but with a contemporary twist or two. So, if you're not fortunate enough to have an Indian grandma cooking for you, Kurry Qulture is the next best thing. Sonny and his chef work with seasonal produce and herbs. Fresh ingredients are of the utmost importance to both Sonny and Vanessa. That's how things are done in the Solomon household and that's the care that they take when it comes to feeding your family. 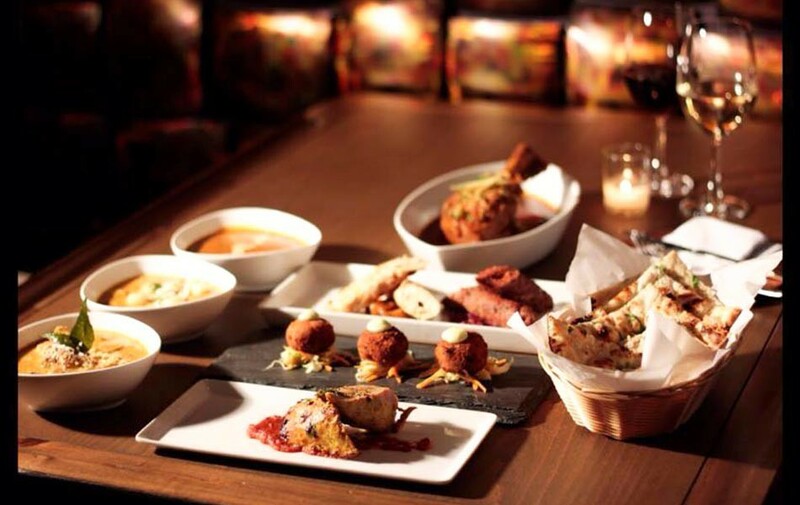 The menu's comfort food selections also encompass dishes that are inspired by Indian street cart food. But, the really big news is that Kurry Qulture has introduced weekend brunch, Indian -style. Brunch delights include Andaa Pav which consists of scrambled eggs, onions, tomatoes and special spices along with a fresh baked butter roll, which is very popular in India. Local foodies who do brunch here rave about the vegetable masala omelet, a blend of mushrooms, peppers and onions. This dish is served with flatbread. 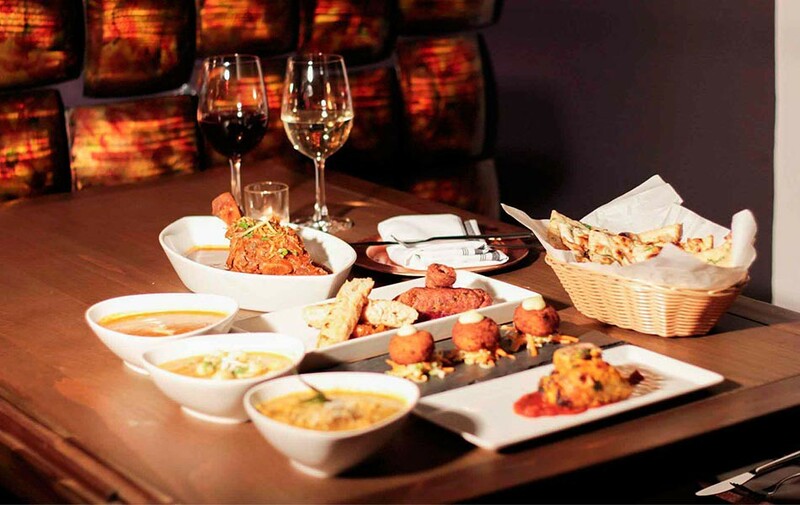 Entrees range from Amritsari fish and chips, Rogan Josh (Kashmiri style lamb shank) and mughlai paratha which is layered bread, stuffed with scrambled eggs and minced chicken. You've worked hard all week. Now, it's time to relax and kick off the weekend with one of Kurry Qulture's delicious brunch cocktails. A great place to start would be with the magical elixir known as the Fire Engine. This cocktail is made with the good stuff... gin, passion fruit, Prosecco and rosemary. Their Pomegranate Bellini is living proof that mixing a great cocktail is far from a lost art. A blend of pomegranate, blackberry and champagne, this drink is fruity and refreshing. Another important point... Kurry Qulture is not your father's stuffy Indian restaurant where things are a little too formal for comfort. And you won't find any cheesy all you can eat buffets here, either. What you Will find are hip features like "snappy hour". An elevated version of the more traditional happy hour, Snappy hour takes place Monday through Thursday between the hours of 5 and 7 PM. Snappy hour bar bites are priced at only $5 to $8. All cocktails are available for the extremely reasonable price of $7. Indulge your appetite with bar bites such as masala fried calamari, tandoori mushrooms as well as the Samosa trio (Potatoes with peas, spinach and turkey and a delicious three cheese blend). Another small plate that you'll adore is the KQ signature cauliflower in a garlic-tomato sauce. The bar here attracts a smart, friendly after-work crowd, so it's a great place to mingle, strike up a conversation and, perhaps, meet some new friends. Ice-breakers include the Astoria of my Life cocktail, which combines bourbon, sweet vermouth, fresh figs and home-made thyme syrup. The Curry Flavour consists of vodka, infused curry leaves, fresh lime and coconut syrup. 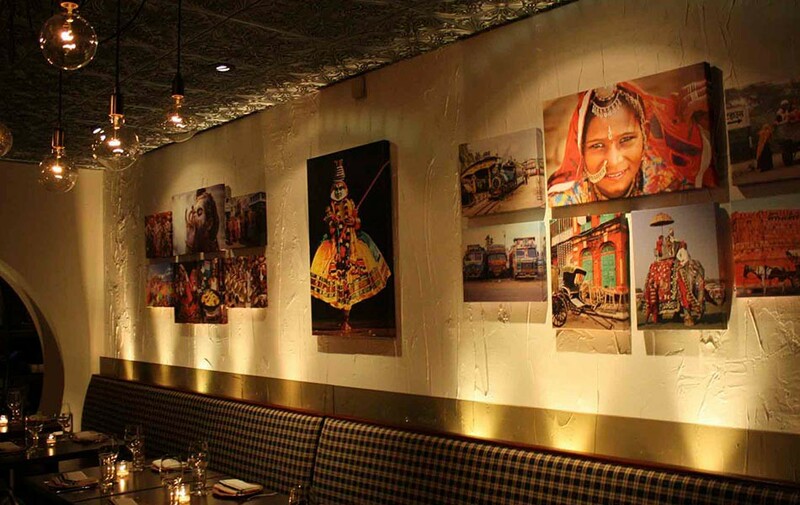 Come on over to Kurry Qulture and be a part of the trendy Indian food revolution that is taking NYC by storm .